Chromatic Commandos is nearly done its first draft. I've already gotten some good words about the character and combat rules and soon the introduction, Referee and Sample Setting/Adventure will be complete. 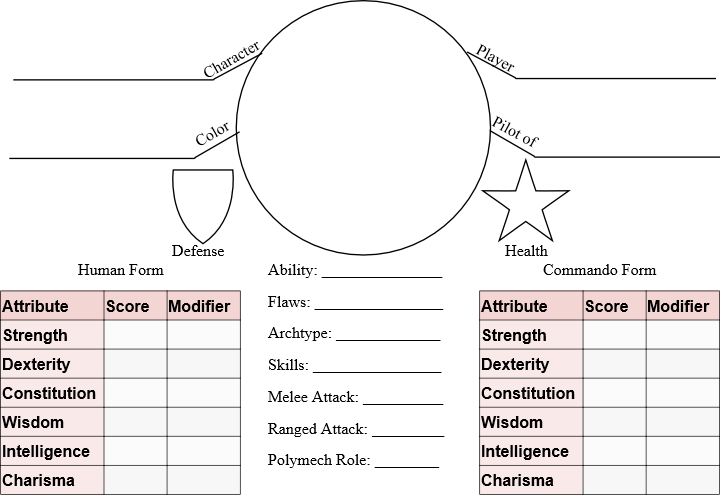 I'm in the market for a name credit only (since CC will be pay-what-you-want) person who would be interested in creating the character sheet for the game. Graphic Design is no where close to my forte so I'm a bit lost in the how to (as the mock up will show). So below is my mock-up of how I'd like the sheet to be set-up ... any advise? I want to post a review of our DnD Dice on your site Genius Loci Games .